Two Bears Farm and the Three Cubs: $10 Jamba Juice Gift Card - 4 Winners - Giveaway! $10 Jamba Juice Gift Card - 4 Winners - Giveaway! Have you ever been to a Jamba Juice? Alas, it is another place that we don't have locally, so I've never tried it. I do love a good smoothie though. The closest Jamba Juice to me is in Greensboro, so next time I'm down there if I pass by I'll have to make a point to stop. In the meantime, I have FOUR $10 Jamba Juice gift cards to give away! I think the blueberry looks particularly yummy! Disclaimer: I did not receive anything in exchange for this giveaway, but I felt that it would appeal to my readers. I love the pomegranate one! Where is it in Greensboro that's where I'm at! !! Hope your weekend is great! !! wonder if there's one in Winston Salem? That's closest to me. 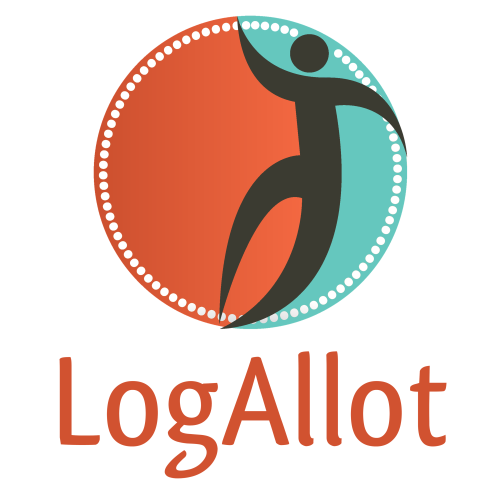 Thanks for introducing me to LogAllot; going to visit there now. Jamba Juice smoothies are SO tasty! When I was stationed in Tucson, AZ, there was one down the street from me. Very, VERY refreshing on a hot, dry summer day. I think I used to get the orange one with some protein added in. Alas, we don't have any in Iowa (but there ARE a few in Chicago - but we don't get there too often, anymore). You should DEFINITELY stop by and get a smoothie next time you're in Greensboro!! I love the all fruit Peach Perfection. It really is perfection. 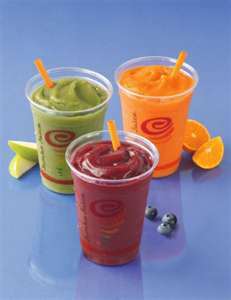 I have never had a Jamba juice, but they sound really good! I would probable try the Pomegranate one. 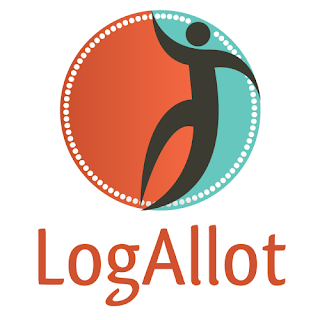 Thanks for telling us about Logallot. I love a good smoothie too! I think there is a Jamba juice in the mall near my parents-next time I visit I'll have to try it out! Alas, we don't have one around here. We had a similar kind of store, but it went our of business. Hope you have a fabulous weekend, the weather is to be beautiful! Jamba Juice is one of our FAVORITE places!!!! love it... their banana smoothie (with strawberries, not the pb one) is my favorite- while Gen's is the PB one! If we have one, I haven't heard of it. Those pics are awesome, and I think blueberry would be great! I love the Berry Fulfilling! We have Jamba Juice here and it's the only place I go for smoothies. No Jamba Juice out here on the prairie! But it looks great! LOVE them! I love the non-dairy all fruit ones particularly the mango! I love Jamba Juice. There's one right across the street from my work. My favorite one is the Blueberry probiotic! Great Giveaway and Happy Mom's Day to you! looks yummy! of course, I've never heard of it :D is it some sort of smoothie? I've never been to a Jamba, so I'm hoping to win this so I get the chance to try it out. I love the Strawberry Nirvana. It's lower calories and it's great! I love the Strawberry Nirvana. I've not yet visited a Jamba Juice, so you'll need to share your favorite choice with me! Honestly, I have only been there once yrs ago. My daughter's friend worked there & she made me something yummy. My kids are the ones who like Jamba Juice! I think my daughter's favorite involves mango. Never been there, so I'll need a recommendation too! Last time I went to Jamba Juice I had a strawberry banana smoothie. Delicious! Thanks for the giveaway! i love the Apple Andy! Peach Perfection is my favorite!! Mango is one of my favorites!